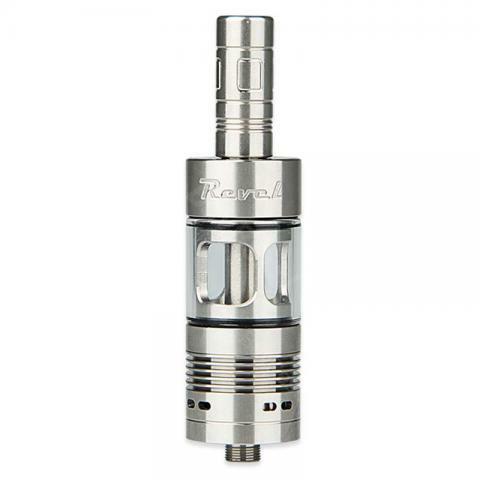 Ehpro RDTA Revel Rebuildable Tank, a new concept rebuildable dripper Tank Atomizer, made of stainless steel and quartz glass. It consists of a press-button for oil filling, a notatable base for building the coil easily, and a 2 in 1 dripper& tank. The glass tanks will keep e-fluid for RDA, just like a bottle of e-fluid, 2.5ml capacity. Very convenient for you carry for work or driving. • CE mark is also lasered on the bottom of atomizer. Realy good idea for a dripper. Thats perfect for drive and vape with dripper flavor. I love it. Very good quality and nice Design.